After glasses had been raised in toasts, the dinner plates had been cleared away, and the sun had set, the night of dancing began! 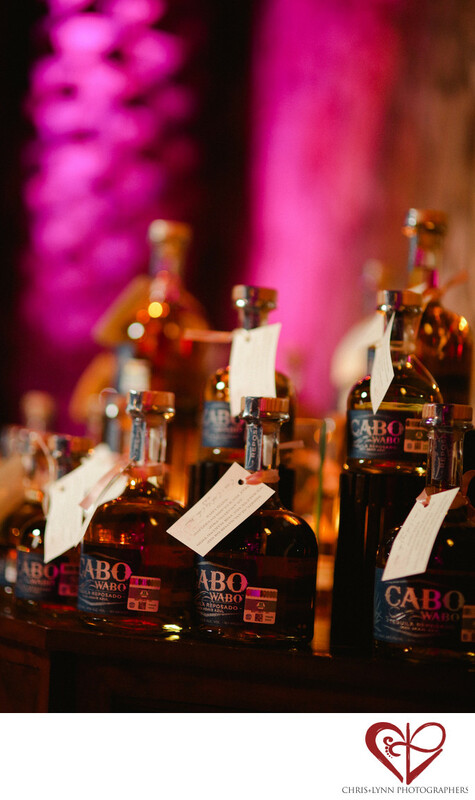 And to top it off, the Esperanza Resort staff provided an array of Cabo Wabo liquor for the guests’ enjoyment. The bride and groom explained that it was so helpful that they had a destination wedding was at a luxury resort, so none of their friends or family had to worry about designated drivers, taxis, or finding a way home! The Esperanza staff provided everything to make the reception night exciting and fun, without any worries. If anything, these drinks definitely got the party started and got the guests onto the dance floor! Did someone say shots? 1/160; f/1.4; ISO 1600; 85.0 mm.